Three dynamic music groups joining together for a fun night of music - Classical to Tangos! 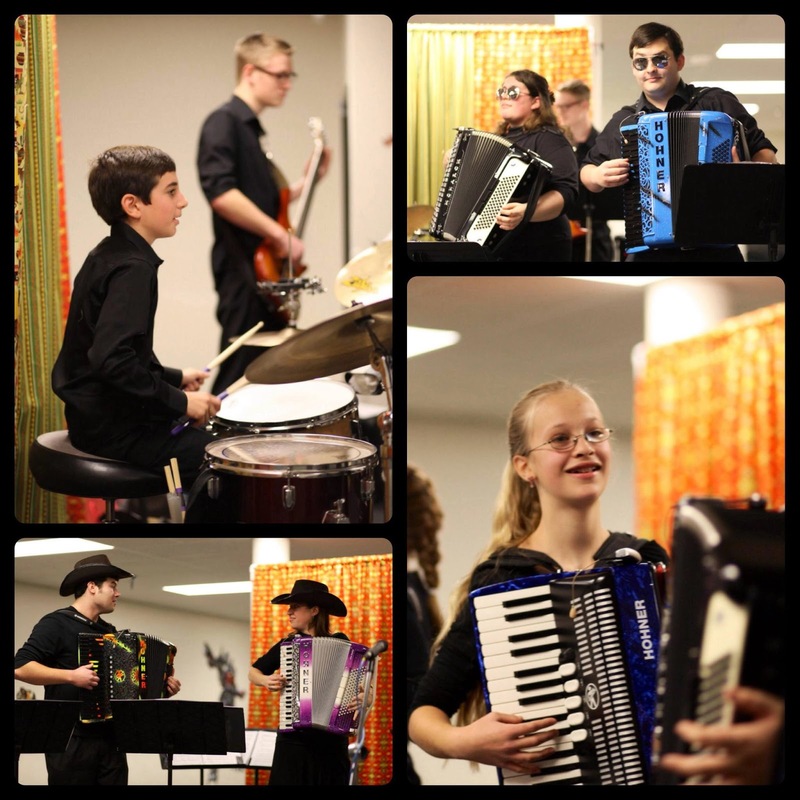 The Portatos | Modernized Accordion Band are a group of young musicians who play the accordion - in a new fresh modern way! Five accordions with a bass, drummer and violinist ready to take the stage! 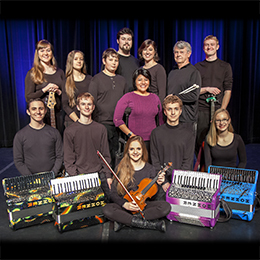 These young musicians are on a mission to expose the accordion as a cool but serious instrument that is capable of producing sounds the audience will enjoy. Joining the stage is Tango Volcado - an argentine tango quartet that is well known for capturing their listeners' heart with their caliber of musicianship and artistry. Enjoy some of the best tango music especially of Astor Piazzolla. 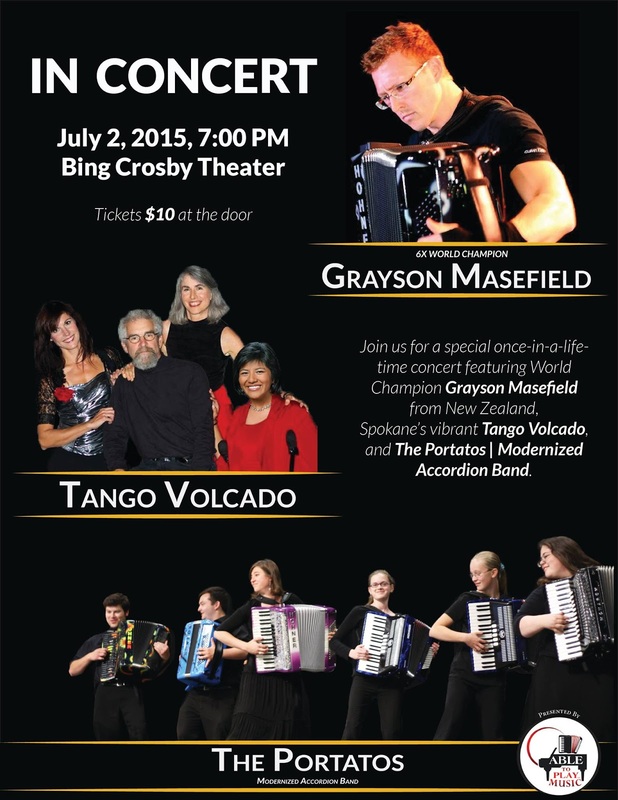 The last half of the show features Grayson Masefield, a 6x World Champion Accordionist. He has brought many audience to tears with the beauty of his music and awed them with his amazing impeccable technique. 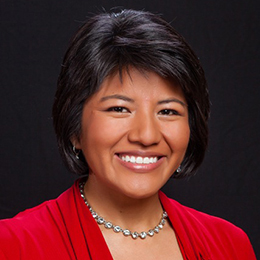 His program consists of both classical and popular music. A fun collage of photos from last year's Fall Folk Festival. It's that time of year again! 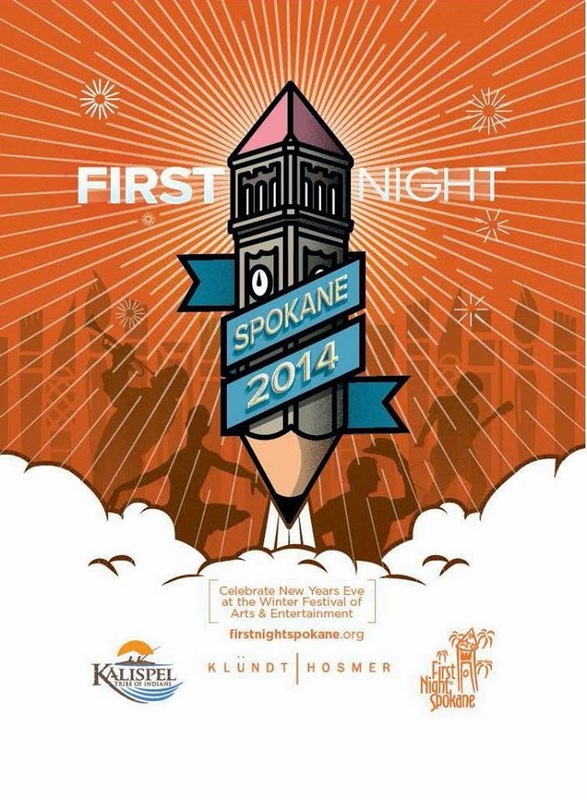 Time to be thinking of fall leaves, all things pumpkin flavored, and the Spokane Fall Folk Festival! I am so excited to share that The Portatos will be performing for their 4th year in a row at the Fall Folk Festival and we would love to have you join us! When: Sunday, November 9 2014. 1:15 PM - 1:45 PM. Happy Fall and we'll see you at the Folk Festival!